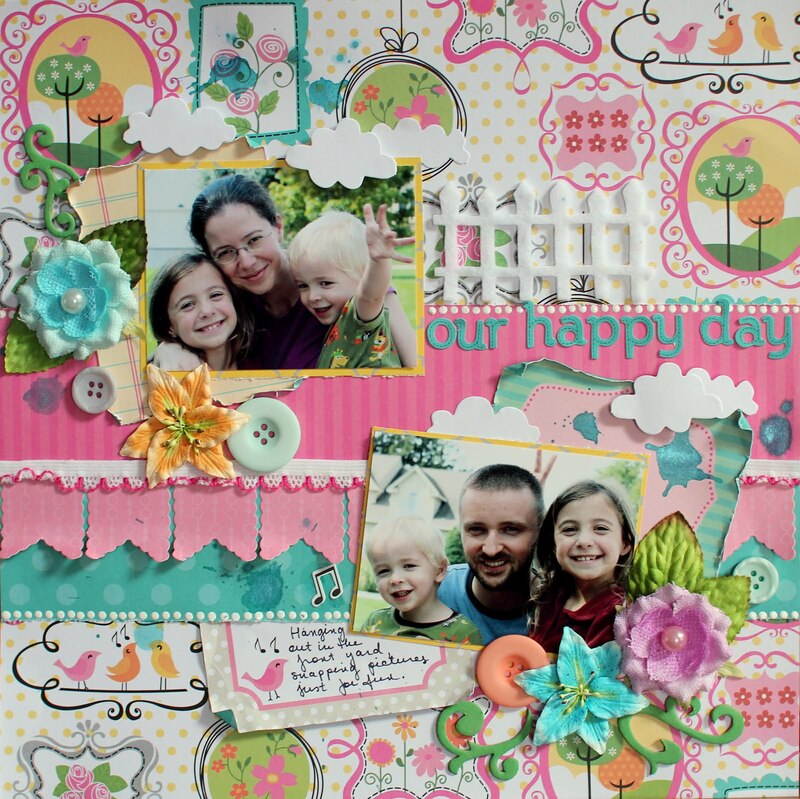 Another Keepsake LO today, using a cute felt fence from Kat Scrappiness. 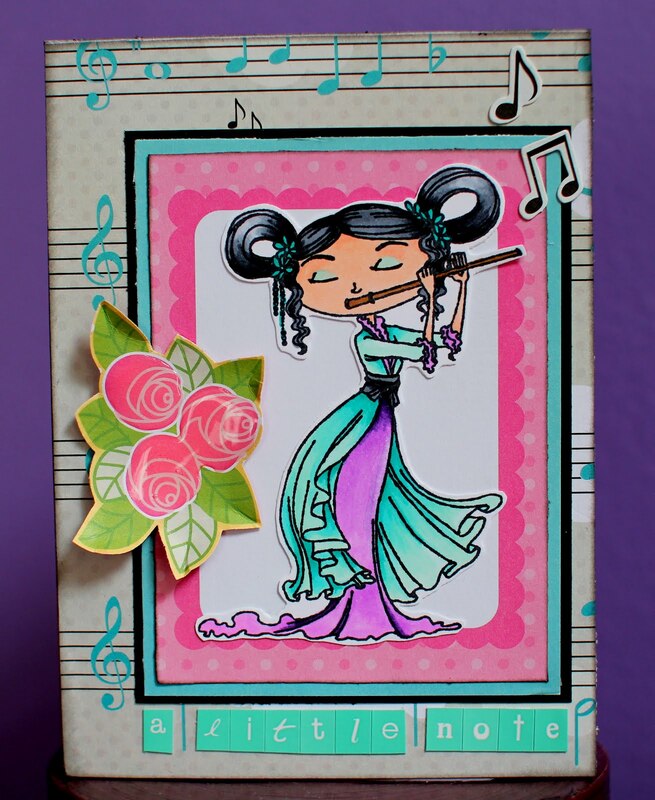 Also, a card using "keepsake" collection and a Kraftin' Kimmie stamp, colored with Copics. I love how all the MLS collections have a sheet of journaling cards that make perfect mats for colored stamps! 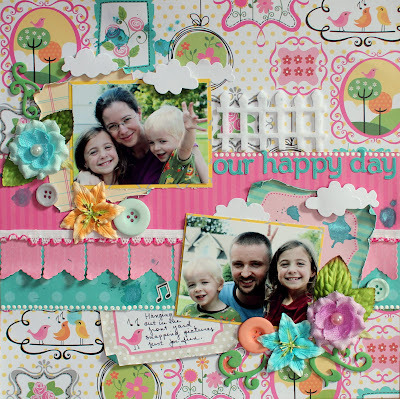 Fab card and layout! Colours are soo happy and bright! Gorgeous layout. I love the colors - they are just yummy!